The Holland luxury cruise liner, Zaandam, with nearly 1,500 passengers aboard, visited Sanya port on March 8. 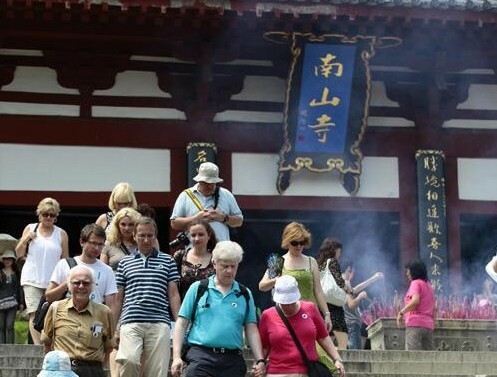 Among them, 300 senior couples mostly from the United States and Canada, visited disembarked the ship to visit the Nanshan Cultural Tourism Zone scenic as well as enjoy special dishes in the tourist site. On Jan. 19, it was first time that the Zaandam arrived at Sanya Phoenix Island International Cruise Port, which kicked off Sanya cruise ship season this year. It is learnt that the ship will again call at Sanya port at the end of this month, bringing 1,500 passengers for sightseeing and shopping activities.